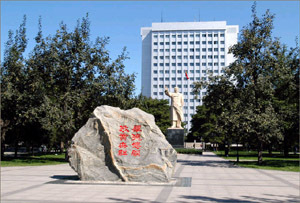 Beijing University of Chemical Technology (BUCT) was founded in 1958 and is affiliated to the Ministry of Education. As one of China's key institutions of higher learning, BUCT has developed from an institution of scientific specialties to a comprehensive university with a core curriculum of science, economic management, languages and other liberal arts. The university, covering an area of 64.4 hectares, is composed of three campuses. The main campus is conveniently located on the eastern section of the North Third Ring Road, southeast of the Asian Games Village, with a quiet and attractive environment. The west campus near the Shangri-La Hotel enjoys an advantageous location on the central section of the West Third Ring Road, and the north campus is near the Ming Tombs, a famous scenic spot. BUPT is one of the 73 Key National Universities under the leadership of the Ministry of Education of P.R.China. 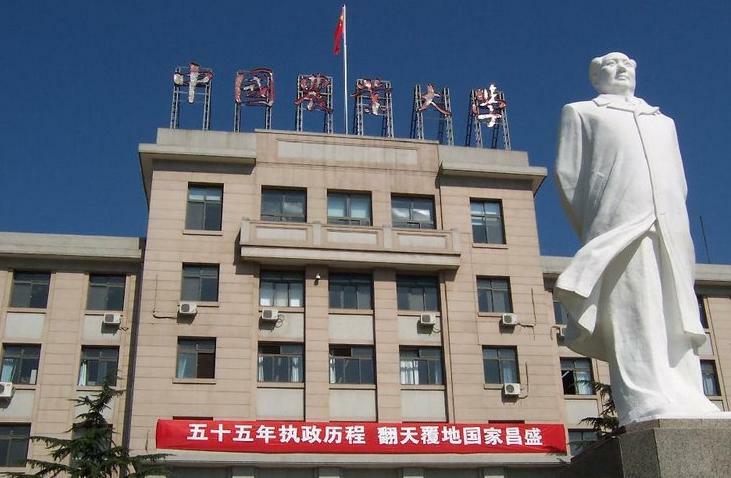 Founded in 1955, BUPT was originally named Beijing Institute of Posts and Telecommunications. It was the first institute of higher learning for teaching and research in the fields of posts and telecommunications. In 1993, it was authorized to rename as its present name BUPT. The International College of Beijing (ICB) is an integral part of China Agricultural University (CAU). ICB was founded on April 20th, 1995, as the result of a joint venture educational program between itself and the University of Colorado at Denver (UCD). The agreement reached between UCD and Chinese educational authorities, which led to the creation of the International College of Beijing, is now recognized as being among the first bilateral educational programs authorized by the Chinese government. In April, 1988, ICB started the cooperation with the University of Luton, UK, and was formally accepted as one of the first joint venture educational schools by the Beijing Institute of Education. Recently a new joint venture educational program has been planning and preparing, which would help ICB develop better in the future. Located in Haidian District which is home to many key universities in China, Beijing Forestry University (BFU) is a top institution of higher education in forestry and ecological environment under the direct leadership of the Ministry of Education. The Communication University of China (CUC) is one of China’s key universities of “Project 211”, directly under the guidance of the State Ministry of Education. The predecessor of the school was a training center for technicians of the Central Broadcasting Bureau that was founded in 1954. In April of 1959, the school was upgraded to the Beijing Broadcasting Institute approved by the State Council. In August of 2004, the BBI was renamed into the Communication University of China. Located in the east part of Beijing and near the OldCanal, the CUC occupies 473,000 square meters with a total construction area of 383,000 square meters. The Central University for Nationalities (CUN) is one of China’s most important comprehensive universities, and it is one of the 38 key universities receiving direct development support from the Chinese government. The goal for the Central University for Nationalities is to build up as “a first-class ethnic university in the world”. The Central University for Nationalities has an advantageous geographical position, being located in an urban district of Beijing, and transportation is very convenient. There are many buses and a subway outside the front gate of CUN. CUN is situated in a university district, near the National Library to its south, and the Chinese “Silicon Valley”-Zhong Guan Cun high-technology industry base to its north. It has a beautiful flower-garden style campus, something rarely seen in northern China. Beijing Normal University (BNU) has a history of more than 100 years, which is almost as long as the history of Chinese modern education. The University has developed from the Faculty of Education, Capital Metropolitan University established in 1902 under the concept of Establish school, prioritize teacher education，which initiated teacher training in Chinese higher education. After several times of merging and reforming since 1949, especially in the 1980s, Beijing Normal University has moved into the new age of rapid development. The University’s history is an epitome of the development of modern teacher training and Chinese higher education. The Central Conservatory of Music,located on the site of the former Prince Chur's Residence(in which Emperor Kuang - ksu was born),in the southwest corner of the once lnner City of Beijing ,is the only key institution of higher learning directly under the Ministry of cuiture of the State Council among all schools of arts in China. Though founded in 1950,the history of the Conservatory can edated over half a century ago,for one of its torerunners,the Music Department of the Yenching University,was organized back in 1927,the others being the Music Department of the Literature and Are School of the North China University(1939),the National academy of Music(1940),the Music Department of the National Peiping School of Arts(1946),and thd Music Department of the Northwest Lu Hsun Institute of Literature and Ary.Nevertheless the tradition and facuity of the National Acade-my of Music was mainly carried over by the Conservatory. 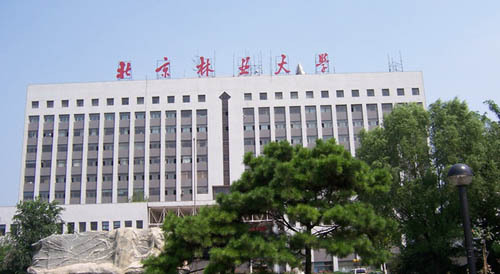 Beijing Youth Politics College (BJYPC) is a public school of higer education with a long history of more than 50 years. The former Chinese president Deng Xiaoping personally inscribed the name of the college. Many state leaders have studied here: Li Ruihuan was the former chairman of the CPPCC (the Chinese People's Political Consultative Conference) and Ni Zhifu was the former vice chairman of NPC (the National People's Congress). 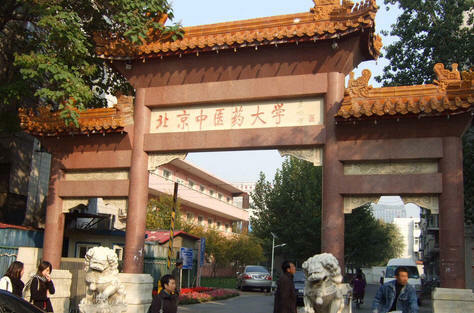 Founded in 1956 the Beijing University of Chinese Medicine is one of the earliest established traditional Chinese medical institutions for higher learning in the People’s Republic of China. It is the only traditional Chinese medical higher learning institution that has a place in the “211 Project” for national development. The former Beijing University of Chinese Medicine and the former Beijing College of Acupuncture, Orthopedics and Traumatology merged into the new Beijing University of Chinese Medicine on July 31st, 2000, and became a priority university directly under the supervision of the Ministry of Education.